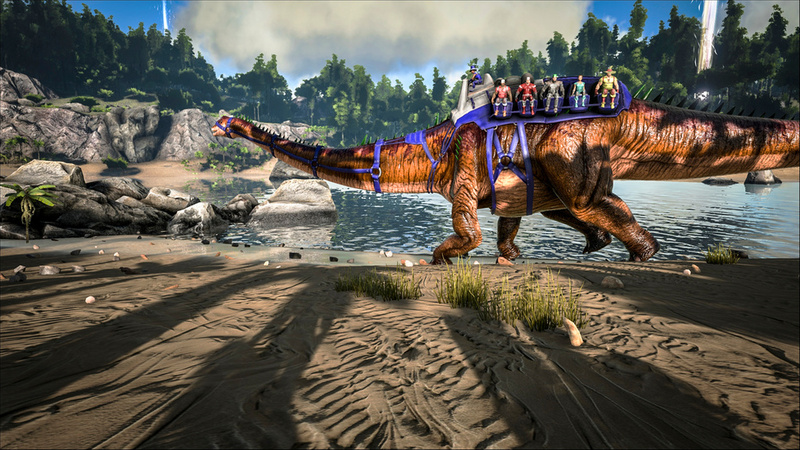 Studio Wildcard are celebrating the one-year anniversary of Ark: Survival Evolved with a Birthday Event and two new creatures tossed into the mix. 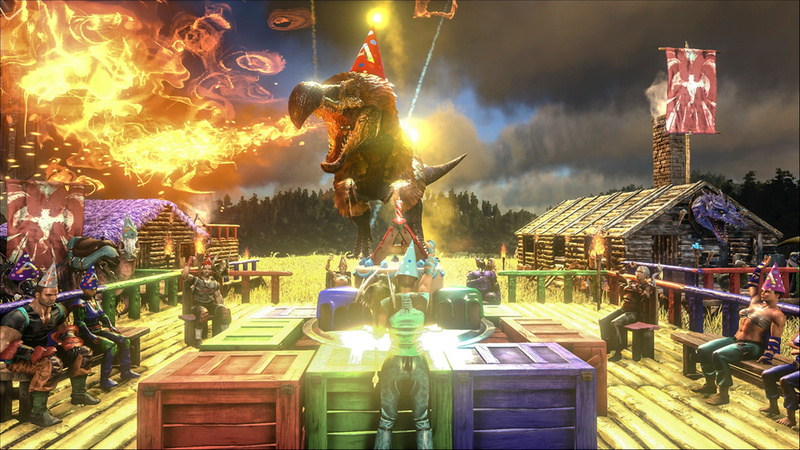 During the event, which runs for one week, candles from Supply Crates can be found and used to craft Ark Birthday Cakes. When each candle is blown out, a special message will appear along with exclusive items. These include party hats for both the player and dinosaurs and Birthday Suits which make the character appear naked. All mommy and daddy bits will be pixelizated, though. Players can also eat said cakes for a major XP buff. Two new creatures have also been added. 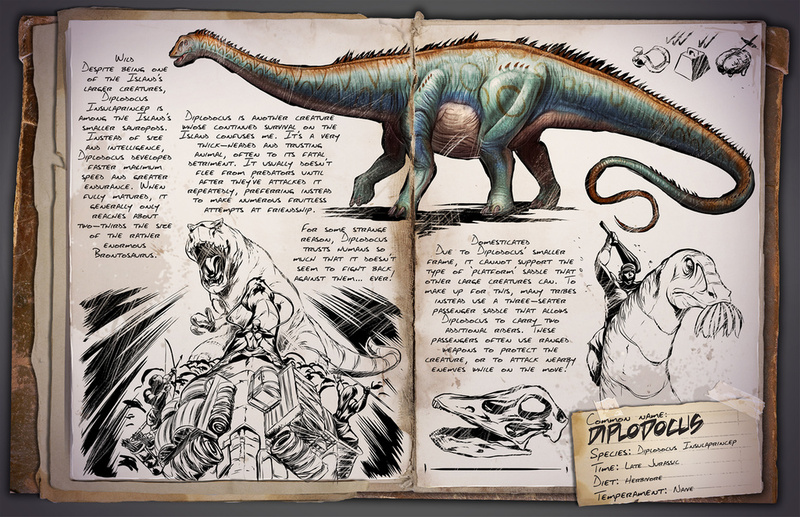 One is the slow but sturdy Diplodocus which can carry up to 10 simultaneous players. Consider it a bus, basically. 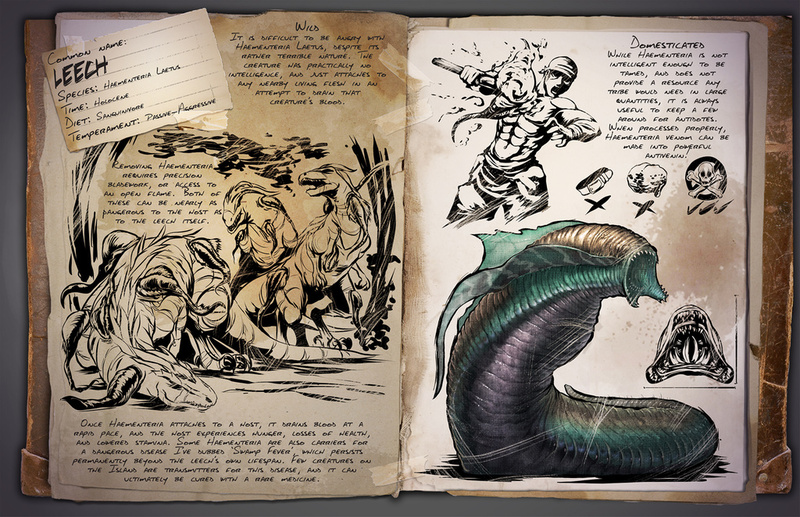 The other is the Leech, which carries diseases and will attach to players en masse. These new diseases can be cured though. 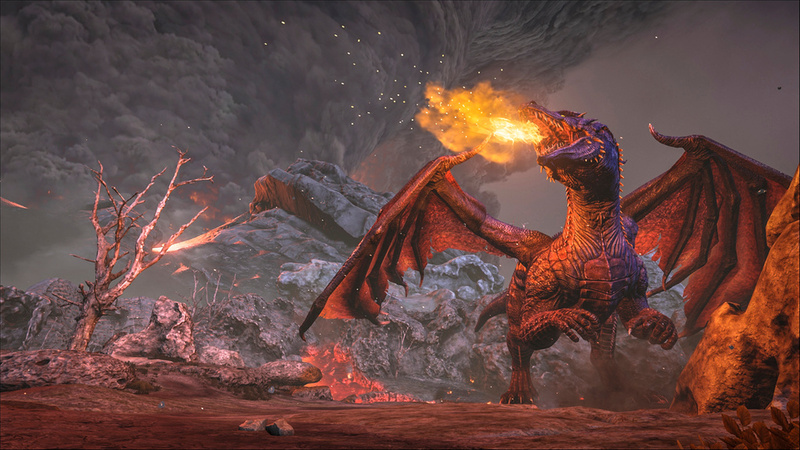 Along with the birthday celebrations and new critters, Patch 242 has been deployed and it comes with the new Dragon Arena and Dragon Boss Fight which you see in the video above. The new structure Training Dummy displays floating Damage Per Second values indicating how strong each dino attack actually is. Permanent Diseases & Cures, enables players to deliberately infect Dodos to use them as Disease Vectors! If you get a permanent disease, it persists even beyond respawn and you need to cure it with an antidote to get rid of it. Multi-Seat Saddles (Galli, Diplodocus, etc). Dinos now have an option to enable public seating. Dino Taxi service, ahoy! 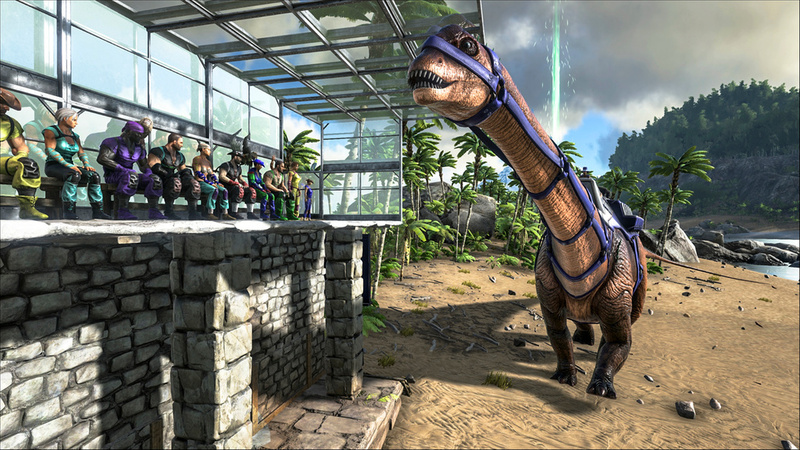 Auto-Turrets can no longer be built on Quetz/Sauro/Mosa/Plesi/Paracer platforms (Plant turrets can’t be grown on them). Any existing turrets on such platforms will no longer fire. Otherwise they’re now only allowed on Rafts and non-moving Bases. 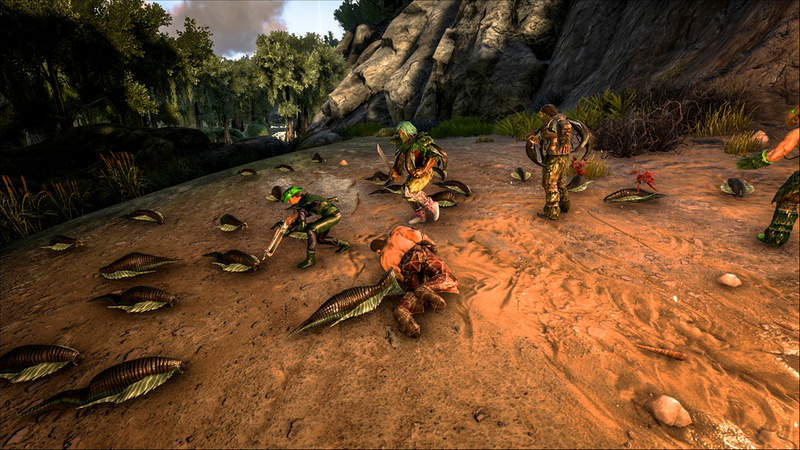 More information can be found through the latest developer blog on the Ark: Survival Evolved Steam community page.